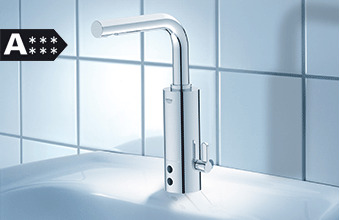 With GROHE taps you can. 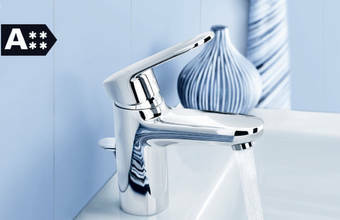 This reduces the opening lever distance and saves up to 50% water consumption. 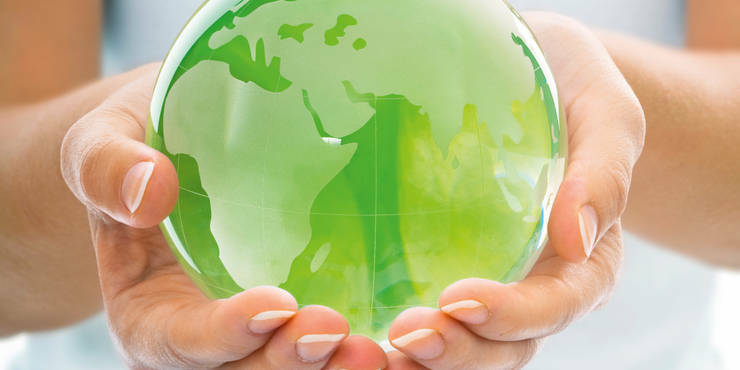 Using less water means less energy is required to heat the water. 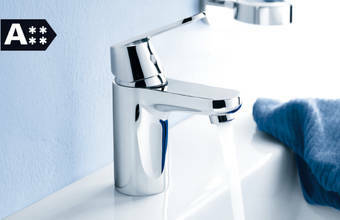 In addition to reducing your annual water consumption, installing a GROHE EcoJoy™ tap will help reduce your energy bills too. 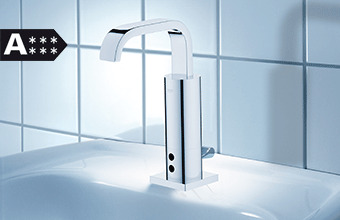 GROHE EcoJoy™ Taps with the WELL Label. 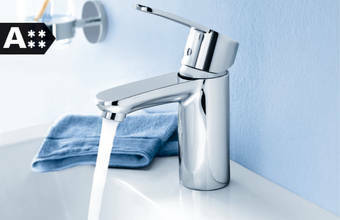 GROHE Ondus® Digital and GROHE F-digital taps use the latest digital interfaces and technology to help you save water. 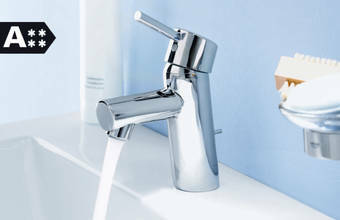 Options include programming the tap with your preferred flow rate, temperature and duration. 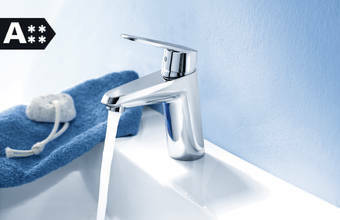 It is also possible to program an intermittent ‘stop/start’ flow – so there’s no need to keep turning the tap on an off while brushing your teeth.